Jungle Red Writers: THE Question! HANK PHILLIPPI RYAN: Where do you get your ideas? Are you howling with laughter now? Well, come on.We've talked about this, and you know how I feel about that question. And as a result of one of our blogs, I got an email from Shannon Baker, and HA. She agrees with me. And at the end of her fascinating blog about her own idea journey (and fears! ), she asks a very interesting question: do you agree with John Steinbeck? Writers get asked that all the time. Sit in on writers’ panels and workshops and it’s bound to come up 85.6% of the time. (Yes, I made up the statistic.) Most writers are polite but the overwhelming responses I’ve heard all come down to this: they have ideas coming at them so frequently they’re like Minnesota mosquitoes in June. My measly excuse for a lazy brain churns out ideas at about the same the rate as ice freezing in Tucson. Ideas are doing a kamikaze dive into my brain and I was wondering if we should have meatloaf for dinner or if whether I should paint the living room red. But then we moved to Flagstaff. I started reading the paper to acquaint myself with the goings on around town. And there it was--the idea I’d been afraid would never arrive. So get this: In Flagstaff, just an hour or so from the desert, there is a ski resort, Snowbowl. It’s one of the oldest in the country, dating back to 1938. Did I mention the proximity to the desert, which would hint at lack of water, and, hey, we’re in a drought! Americans are nothing if not determined. Instead of giving in to logic, Snowbowl’s owners decided to make snow. Still, lack of water and all that. So they are using reclaimed waste water. Gray water. Pretty ingenious, right? Turns out, not one, not two, but thirteen Native American tribes consider that mountain sacred. It features heavily in their creation stories. Are they happy about the ski resort? They are not. Does treated wastewater tickle them? Not at all. I started researching tribes in the area and stumbled upon the Hopi. Ancient, tiny and destitute, this tribe believes they are responsible for the survival of the world. The Whole World. After all the research I’ve done, I’m not going to doubt that. Then I got a job working for The Grand Canyon Trust, an environmental non-profit whose mission is protection and restoration of landscapes on the Colorado Plateau. (If you don’t know, and I didn’t, the Colorado Plateau covers northern Arizona to southern Utah.) For twenty years I’d lived in the Nebraska Sandhills, where environmentalists are shot on sight. More conflict. My “what if” bone kicked in and I ended up with all these ideas. When Tainted Mountain opens, Nora Abbott is the owner of ski resort in Flagstaff on a sacred mountain and she’s just won a court victory allowing her to make snow. She’s got environmentalist tendencies which clash with mining interests and big business. 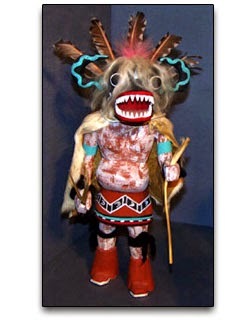 The kachinas, Hopi spirits of the mountain, are not pleased. And let’s not even get into the issues with her annoying mother. The what ifs kept coming and pretty soon I had a bunch of ideas. In fact, I had so many that I ended up with a series. At the end of Tainted Mountain, Nora feels like she needs to start over. And where else would she choose but my favorite place, Boulder, CO. I’ve lived her off and on and it’s where my heart feels at home. Then, wonder of wonders, I got a call from a former colleague recruiting me to join a startup firm back in Boulder. Me, Nora, Flagstaff, Boulder. Art imitating life imitating art. I was thrilled to get back to the quirky inhabitants, high altitude air, the gorgeous Flatirons, and majestic Rockies. For over a year I didn’t have to imagine Nora’s surroundings. I biked the same roads, hiked the same trails, drank beer in the same outdoor cafes. Wait, I don’t have a scene in Broken Trust where Nora drinks beer on the Pearl Street Mall. I probably should have. But one day, out of thin air, someone else did show up here. Kate is a small town sheriff. She’s someone I want to hang with and book one is already written. I’ve got tentative plots for books two and three. 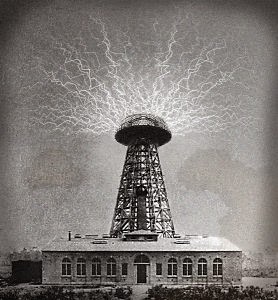 Amazingly, ideas are splitting and growing like germs in a petri dish. Shannon Baker writes the Nora Abbott Mystery Series, a fast-paced mix of murder, environmental issues and Hopi Indians published by Midnight Ink. 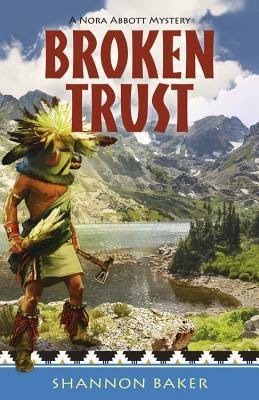 Broken Trust, released March 2014, takes place in Boulder, CO. A lover of western landscapes, Baker can often be found backpacking, skiing, kayaking, cycling, or just playing lizard in the desert. Tainted Mountain, the first in the series is set in Flagstaff, AZ and is a New Mexico/Arizona Book Awards finalist. Shannon is Rocky Mountain Fiction Writers 2014 Writer of the Year. 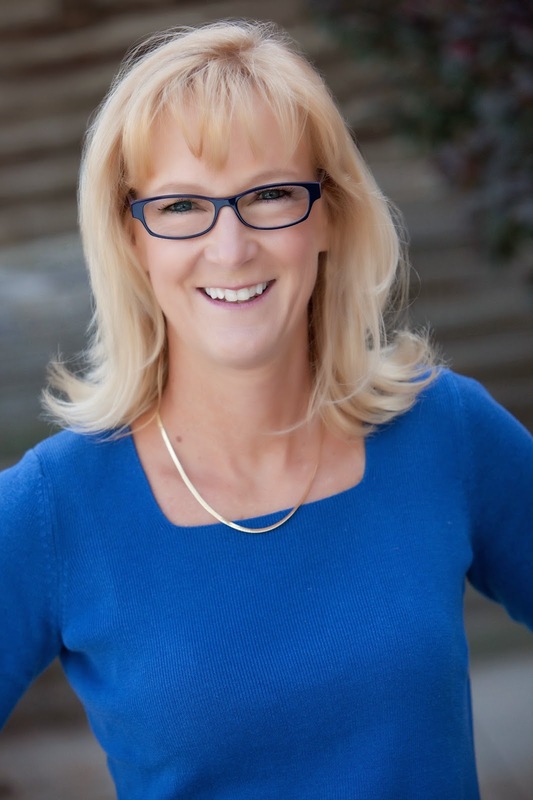 She serves on the board of Rocky Mountain Fiction Writers and is a member of SinC, MWA, and TWA. Visit Shannon at www.Shannon-Baker.com. One should never disagree with John Steinbeck or with writers who have more ideas than there are rabbits in my garden. And now I'm looking forward to reading Broken Trust . . . .
Itinerant writer... isn't that the best kind? Shannon, thanks for an entertaining look at where your ideas for your books start. I find it fascinating hearing different authors different answers to the ubiquitous ideas question. You seem to have a great attitude about moving so much. And, I love how you said your next character showed up. Hank, I've really enjoyed seeing the nightstand reading pics. I messaged you one, but I guess you got it too late to include. The important thing is that it got me to clean up my reading area and organize my upcoming reads better. Can't wait to see the Reds' night stands! Science fiction author Jacqueline Lichtenberg, when asked "Where do you get your ideas?" says that "You beat them off with a stick." My problem is making note of them (somewhere where I will find the note again) while the next distraction (and then the next idea) hits. Which is why the house is filled with odd pieces of paper, and why I need to flip through newspapers before I can throw them into the recycling bin (something could be written in the margins of a page I was reading when an idea hit). My sister constantly comes up with titles. I've learned never to tell her about an idea for a book because she'll say "You can call it 'xxxxx'" which is exactly what I DON'T want to call it. But I wonder, sometimes, if coming up with a title can lead to the book that should go with it. OH, yes, definitely---the kiss of death is to say--"OH, that's such a good idea! I'll remember that..."
DO you all have little notebooks? Or how do you handle it? I have decided..if it's a good idea, I'll remember. Welcome Shannon! Love your essay--my ideas come slowly slowly too, and exactly as you describe:). The book looks wonderful! Oh, I do wish I had a sister to give me titles! Lucy--I just listened to a podcast interview with you on Reading and Writing Podcasts, in which Jeff Rutherford asked where you get your ideas! Shannon, First let me commend you on a great use of a false statistic--and giving it a significant digit to the right of the decimal place was the best. The kernels of ideas are all around me. The hard work is deciding which one to spend time with and then, as you have done so well, how to make the idea rich. I agree with you and with John Steinbeck. Ideas tend to multiply and split off, but you do have to keep your brain stimulated or else the process stops! Sometimes I get an idea that is so fully blown that I want to run with it. These days I can't because of other commitments, so I take copious notes to revisit later. When I go back and look at some of those notebooks, I'm always shocked with the depth of detail I captured when I wrote down the idea in the first place. Organizing ideas--sometimes it's like herding cats, isn't it? They seem to have lives entirely of their own. Hank, I have notebooks, scraps of paper, snippets in Word doc files, and flutters of them everywhere. The hard part is bending them to my will. Shannon, what a great story! For years before I wrote my first novel, I knew I loved writing, but I couldn't figure our where I would get a STORY. Then I had an idea, and I've been beating them off with a stick ever since. One of my biggest problems with my books (as my editor and agent repeatedly tell me) is that I have TOO MUCH GOING ON. What a wonderful premise--a ski resort on a sacred mountain using waste water for the snow! Truth IS stranger than fiction! This sounds like a series I must get to know. Jim, even true statistics can prove false truths! But making them up is easier to research. Diane, ideas are coming more easily but I still worry I'll never have another good one! Debbie, I get accused of that, too! Libby, thanks for the kind words. I loved reading about the process you went through as your ideas accumulated, transformed and became a novel - thank you for sharing! I guess I'm lucky. I've had more than a zillion novel ideals since I was 10 years old - as the 20 novels I wrote before I finished high school prove. This, though, can be a problem. Sometimes I have a hard time focusing on just one - I want to write them all at the same time. The trick that helps me is that I keep a file in my computer called BOOKS. Within that file I have sub-files: one for each book idea. As ideas for a book swirl, I jot them down (at random, no organization) in the relevant file. Sometimes I find that when I go to a file, my ideas might have added up to 50 or so pages, which I then shift around into a skeleton outline. I also find that most of my ideas come from historical subjects that interest me: right now, 1950s Vietnam and the 1970s Chicano movement in LA (2 separate novels). The more I research the more my stories develop. It's such a fun process. I can't imagine why everyone in the world doesn't want to be a writer!! Shannon, love how your idea showed up and grew... and or should I say you nurtured it. Ideas are THE most precious commodity for me as a writer. They do not come to me in droves, and when one shows up I'm very nice to it... and write it down. Finally back form my day-long event! ANd I see you all had fun and were perfectly happy around here..great! Thank you Shannon-greatblog. ANd don't forget to send me the name of your winner! Thanks for having me, Hank! Love the Reds! The winner of Broken Trust, picked by Random.org is Joan Emerson. Joan, can you send me your address at shannbaker@gmail.com? Thanks all!